Boomerang! Is the Pentagon Field-Testing 'Son of Stuxnet'? When the cybersecurity firm Symantec announced they had discovered a sophisticated Trojan which shared many of the characteristics of the Stuxnet virus, I wondered: was the Pentagon and/or their Israeli partners in crime field-testing insidious new spyware? According to researchers, the malicious program was dubbed "Duqu" because it creates files with the prefix "~DQ." It is a remote access Trojan (RAT) that "is essentially the precursor to a future Stuxnet-like attack." Mark that carefully. In simple terms, a Trojan is malicious software that appears to perform a desirable function prior to its installation but in fact, steals information from users spoofed into installing it, oftentimes via viral email attachments. In the hands of enterprising security agencies, or criminals (the two are functionally synonymous), Trojans are primarily deployed for data theft, industrial or financial espionage, keystroke logging (surveillance) or the capture of screenshots which may reveal proprietary information. "The threat" Symantec averred, "was written by the same authors (or those that have access to the Stuxnet source code) and appears to have been created since the last Stuxnet file was recovered." The malware, which began popping-up on the networks of several European firms, captured lists of running processes, account and domain information, network drives, user keystrokes and screenshots from active sessions and did so by using a valid, not a forged certificate, stolen from the Taipei-based firm, C-Media. Whereas Stuxnet, believed to be a co-production of U.S. and Israeli cyber-saboteurs, was a weaponized virus programmed to destroy Iran's civilian nuclear power infrastructure by targeting centrifuges that enrich uranium, Duqu is a stealthy bit of spy kit that filches data from manufacturers who produce systems that control oil pipelines, water systems and other critical infrastructure. Sergey Golovanov, a malware expert at Kaspersky Labs told Forbes that Duqu is "is likely the brainchild of a government security apparatus. And it's that government's best work yet." Speaking from Moscow, Golovanov told Forbes in a telephone interview that "right now were are pretty sure that it is the next generation of Stuxnet." "We are pretty sure that Duqu is a government cyber tool and are 70% sure it is coming from the same source as Stuxnet," Golovanov said. "The victims' computer systems were infected several days ago. Whatever it is," Golovanov noted, "it is still in those systems, and still scanning for information. But what exactly it is scanning for, we don't know. It could be gathering internal information for encryption devices. We only know that it is data mining right now, but we don't know what kind of data and to what end it is collecting it." Whom, pray tell, would have "access to Stuxnet source code"? While no government has claimed ownership of Stuxnet, IT experts told Forbes "with 100% certainty it was a government agency who created it." Suspects include cryptologists at the National Security Agency, or as is more likely given the outsourcing of intelligence work by the secret state, a combination of designers drawn from NSA, "black world" privateers from large defense firms along with specialists from Israel's cryptologic division, Unit 8200, operating from the Israeli nuclear weapons lab at the Dimona complex, as The New York Times disclosed. Analyst George Smith noted: "Stuxnet was widely distributed to many computer security experts. Many of them do contract work for government agencies, labor that would perhaps require a variety of security clearances and which would involve doing what would be seen by others to be black hat in nature. When that happened all bets were off." Smith averred, "once a thing is in world circulation it is not protected or proprietary property." While one cannot demonstrably prove that Duqu is the product of one or another secret state satrapy, one can reasonably inquire: who has the means, motive and opportunity for launching this particular bit of nastiness into the wild? "Duqu's purpose," Symantec researchers inform us, "is to gather intelligence data and assets from entities, such as industrial control system manufacturers, in order to more easily conduct a future attack against another third party." In other words, while Stuxnet was programmed to destroy industrial systems, Duqu is an espionage tool that will enable attackers "looking for information such as design documents that could help them mount a future attack on an industrial control facility." Although it can be argued, as Smith does, that "source code for malware has never been secure," and "always becomes something coveted by many, often in direct proportion to its fame," it also can't be ruled out that military-intelligence agencies or corporate clones with more than a dog or two in the "cyberwar" hunt wouldn't be very interested in obtaining a Trojan that clips "industrial design" information from friend and foe alike. The circulation of malicious code such as Duqu's is highly destabilizing. Considering that the U.S. Defense Department now considers computer sabotage originating in another country the equivalent to an act of war for which a military response is appropriate, the world is on dangerous new ground. Speaking with MIT's Technology Review, Ronald Deibert, the director of Citizen Lab, a University of Toronto think tank that researches cyberwarfare, censorship and espionage, told the publication that "in the context of the militarization of cyberspace, policymakers around the world should be concerned." Indeed, given the fact that it is the United States that is now the biggest proliferator in the so-called cyber "arms race," and that billions of dollars are being spent by Washington to secure such weapons, recent history is not encouraging. With shades of 9/11, the anthrax mailings and the Iraq invasion as a backdrop, one cannot rule out that a provocative act assigned to an "official enemy" by ruling elites just might originate from inside the U.S. security complex itself and serve as a convenient pretext for some future war. 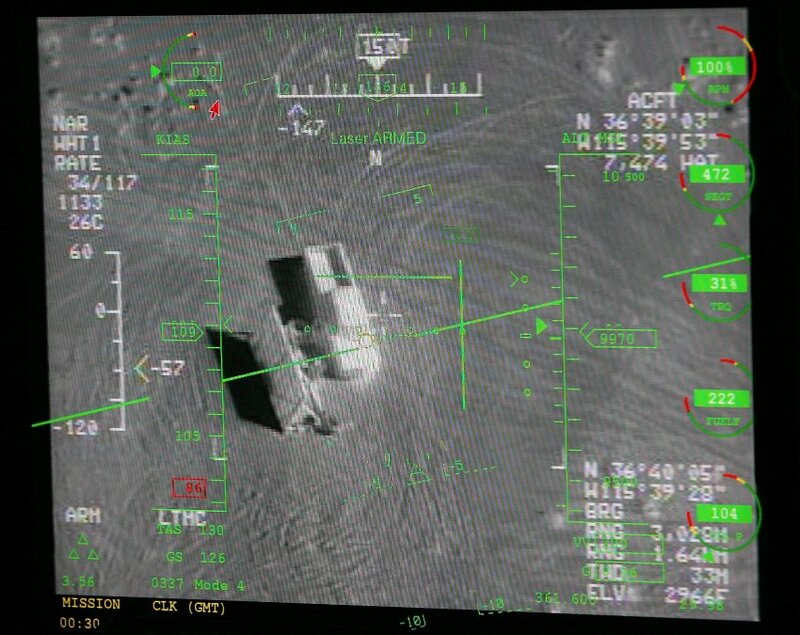 A hint of what the Pentagon is up to came in the form of a controlled leak to The Washington Post. Last spring, we were informed that "the Pentagon has developed a list of cyber-weapons and -tools, including viruses that can sabotage an adversary's critical networks, to streamline how the United States engages in computer warfare." 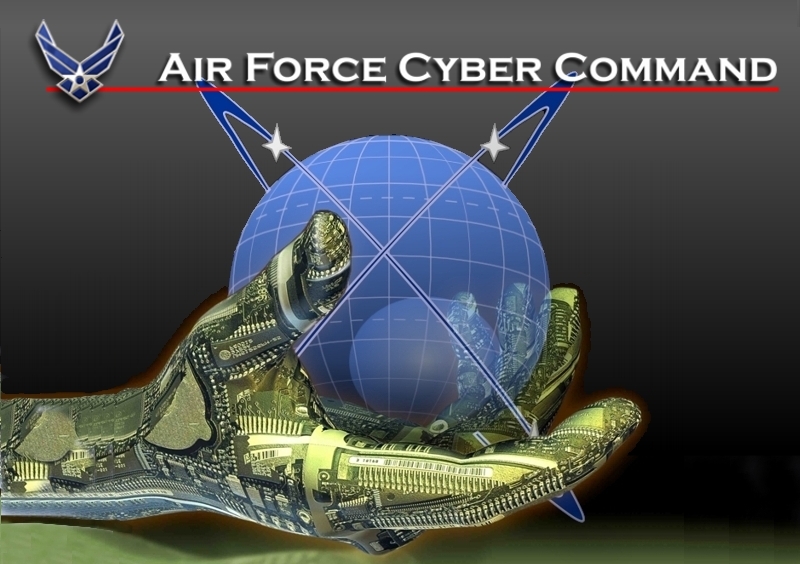 The list of "approved weapons" or "fires" are indicative of the military's intention to integrate "cyberwar" capabilities into its overall military doctrine. According to Ellen Nakashima, the "classified list of capabilities has been in use for several months and has been approved by other agencies, including the CIA." The Post reported that the new "framework clarifies, for instance, that the military needs presidential authorization to penetrate a foreign computer network and leave a cyber-virus that can be activated later." On the other hand, and here's where Duqu may enter the frame, the "military does not need such approval, however, to penetrate foreign networks for a variety of other activities. These include studying the cyber-capabilities of adversaries or examining how power plants or other networks operate." Additionally, Nakashima wrote, Pentagon cyberwarriors "can also, without presidential authorization, leave beacons to mark spots for later targeting by viruses, the official said." As part of Washington's on-going commitment to the rule of law and human rights, as the recent due process-free drone assassination of American citizen Anwar Al-Awlaki, followed by that of his teenage son and the revenge killing of former Libyan leader Muammar Qaddafi by--surprise!--Al Qaeda-linked militias funded by the CIA clearly demonstrate, the "use of any cyber-weapon would have to be proportional to the threat, not inflict undue collateral damage and avoid civilian casualties." Try selling that to the more than 3,600 people killed or injured by CIA drone strikes, as Pakistan Body Count reported, since our Nobel laureate ascended to his Oval Office throne. As George Mason University researchers Jerry Brito and Tate Watkins described in their recent paper, Loving the Cyber Bomb? The Dangers of Threat Inflation in Cybersecurity Policy, despite overheated "rhetoric of 'cyber doom' employed by proponents of increased federal intervention," there is a lack of "clear evidence of a serious threat that can be verified by the public." However, as Brito and Watkins warned, "the United States may be witnessing a bout of threat inflation similar to that seen in the run-up to the Iraq War," one where "a cyber-industrial complex is emerging, much like the military-industrial complex of the Cold War. This complex may serve to not only supply cybersecurity solutions to the federal government, but to drum up demand for them as well." A "demand" which will inevitably feed the production, proliferation and deployment of a host of viral attack tools (Stuxnet) and assorted spybots (Duqu) that can and will be used by America's shadow warriors and well-connected corporate spies seeking to get a leg-up on the competition. While evidence of "a serious threat" may be lacking, and while proponents of increased "cybersecurity" spending advanced "no evidence ... that opponents have 'mapped vulnerabilities' and 'planned attacks'," Brito and Watkins noted there is growing evidence these are precisely the policies being pursued by Washington. As a declining imperialist Empire possessing formidable military and technological capabilities, researcher Stephen Graham has pointed out in Cities Under Siege: The New Military Urbanism, the United States has embarked on a multibillion dollar program "to militarize the world's global electronic infrastructures" with a stated aim to "gain access to, and control over, any and all networked computers, anywhere on Earth." Graham writes that "the sorts of on-the-ground realities that result from attacks on ordinary civilian infrastructure are far from the abstract niceties portrayed in military theory." Indeed, as "the experiences of Iraq and Gaza forcefully remind us," robotized drone attacks and already-existent cyberwar capabilities buried in CIA and Pentagon black programs demonstrate that "the euphemisms of theory distract from the hard fact that targeting essential infrastructure in highly urbanized societies kills the weak, the old and the ill just as surely as carpet bombing." In the wake of the HBGary hack by Anonymous earlier this year, the secrecy-shredding web site Public Intelligence released a 2009 Defense Department contract proposal from the firm. Among other things, it revealed that the Pentagon is standing-up offensive programs that "examine the architecture, engineering, functionality, interface and interoperability of Cyber Warfare systems, services and capabilities at the tactical, operational and strategic levels, to include all enabling technologies." HBGary, and one can assume other juiced defense contractors, are planning "operations and requirements analysis, concept formulation and development, feasibility demonstrations and operational support." "This will include," according to the leaked proposal, "efforts to analyze and engineer operational, functional and system requirements in order to establish national, theater and force level architecture and engineering plans, interface and systems specifications and definitions, implementation, including hardware acquisition for turnkey systems." Indeed, the company will "perform analyses of existing and emerging Operational and Functional Requirements at the force, theater, Combatant Commands (COCOM) and national levels to support the formulation, development and assessment of doctrine, strategy, plans, concepts of operations, and tactics, techniques and procedures in order to provide the full spectrum of Cyber Warfare and enabling capabilities to the warfighter." During the course of their analysis Symantec learned that Duqu "uses HTTP and HTTPS to communicate with a command-and-control (C&C) server that at the time of writing is still operational." "The attackers were able to download additional executables through the C&C server, including an infostealer that can perform actions such as enumerating the network, recording keystrokes, and gathering system information. The information is logged to a lightly encrypted and compressed local file, which then must be exfiltrated out." To where, and more importantly by whom was that information "exfiltrated" is of course, the $64,000 question. A working hypothesis may be provided by additional documents published by Public Intelligence. According to a cyberwar proposal to the Pentagon by General Dynamics and HBGary, "Project C" is described as a program for the development "of a software application targeting the Windows XP Operating System that, when executed, loads and enables a covert kernel-mode implant that will exfiltrate a file from disk (or other remotely called commands) over a connected serial port to a remote device." We're informed that Project C's "primary objectives" was the design of an implant "that is clearly able to exfiltrate an on-disk file, opening of the CD tray, blinking of the keyboard lights, opening and deleting a file, and a memory buffer exfiltration over a connected serial line to a collection station." "As part of the exploit delivery package," HBGary and General Dynamics told their prospective customers, presumably the NSA, that "a usermode trojan will assist in the loading of the implant, which will clearly demonstrate the full capability of the implant." Duqu, according to Symantec researchers, "uses a custom C&C protocol, primarily downloading or uploading what appear to be JPG files. However, in addition to transferring dummy JPG files, additional data for exfiltration is encrypted and sent, and likewise received." While we don't know which firms were involved in the design of Stuxnet and now, Duqu, we do know thanks to Anonymous that HBGary had a Stuxnet copy, shared it amongst themselves and quite plausibly, given what we've learned about Duqu, Stuxnet source code may have been related to the above-mentioned "Project C."
Kevin Haley, Symantec's director of product management told The Register that "the people behind Stuxnet are not done. They've continued to do different things. This was not a one-shot deal." Revelations by the Chaos Computer Club (CCC) that German secret state agencies are installing spyware on personal computers capable of transforming a PC's webcam and microphone into a listening device, sparked outrage across the political spectrum. And while these disclosures may have ignited a political firestorm in Berlin, they will come as no surprise to readers of Antifascist Calling. Three years ago, I reported that Germany's foreign intelligence service, the Bundesnachrichtendienst or BND, was caught up in a major scandal after the whistleblowing web site WikiLeaks, published documents which revealed that the agency had extensively spied on, and even recruited, journalists for use in illicit intelligence operations. Recalling the CIA's long-running Operation Mockingbird program that enrolled journalists as spies in what are now euphemistically called "influence operations," the covert manipulation of the domestic and foreign press according to WikiLeaks, showed "the extent to which the collaboration of journalists with intelligence agencies has become common and to what dimensions consent is manufactured in the interests of those involved." BBC News reported that "Bavaria has admitted using the spyware, but claimed it had acted within the law." And Deutsche Welle disclosed that "several additional German states have admitted to deploying spyware," including "Baden-Württemberg, Brandenburg, Schleswig-Holstein and Lower Saxony," but like their counterparts in Bavaria, those officials also claimed they had operated "within the parameters of the law." The Chaos Computer Club revealed in their analysis that when they reverse engineered the program, variously dubbed "0zapftis", "Bundestrojaner" or "R2D2," they discovered that the spyware "found in the wild" and "submitted to the CCC anonymously," can "not only siphon away intimate data but also offers a remote control or backdoor functionality for uploading and executing arbitrary other programs. Significant design and implementation flaws make all of the functionality available to anyone on the internet." When news of the FBI program first broke back in 2000, the Electronic Privacy Information Center (EPIC) obtained documents under a Freedom of Information Act request relating to the system, which were part of a suite of surveillance tools then called Carnivore. At the time, EPIC revealed that the FBI "had developed an Internet monitoring system that would be installed at the facilities of an Internet Service Provider (ISP) and would monitor all traffic moving through that ISP." A 2007 exposé by Wired Magazine revealed that Magic Lantern's "computer and internet protocol address verifier" or CIPAV, "gathers a wide range of information, including the computer's IP address; MAC address; open ports; a list of running programs; the operating system type, version and serial number; preferred internet browser and version; the computer's registered owner and registered company name; the current logged-in user name and the last-visited URL." Just after the scandal broke, Wired Magazine disclosed that "two years before the Bavarian state in Germany began using a controversial spy tool to gather evidence from suspect computers, German authorities approached the Federal Bureau of Investigation to discuss a similar tool the U.S. law enforcement agency was using." The FBI's assistant legal attache in Frankfurt "sent an email to Bureau colleagues on July 24, 2007, writing, 'I am embarrassed to be approaching you again with a request from the Germans ... but they now have asked us about CIPAV (Computer Internet Protocol Address Verifier) software, allegedly used by the Bu[reau]'." The email uncovered by Wired was part of a huge cache of files obtained by the Electronic Frontier Foundation (EFF) in response to their 2007 Freedom of Information Act request for data on CIPAV. It appears that German secret state officials are playing a similar game. According to Der Spiegel, at least two agencies, the Bundeskriminalamt, or BKA, the federal crime investigation agency equivalent to the FBI, and some 16 Landeskriminalamt or LKAs, regional investigative bureaus, may have deployed the malware during wide-ranging investigations unrelated to terrorism. In a follow-up piece, Der Spiegel disclosed that the firm DigiTask was the spyware's developer. Along with hundreds of similar firms, DigiTask is a niche security outfit that develops applications for the so-called "lawful interception" market. In 2008, WikiLeaks released two documents concerning "interception technology for Skype and SSL in Bavaria, Germany. The first document is a communication by the Bavarian Ministry of Justice to the prosecutors office, relating to cost distribution for the interception licenses between police and prosecution. The second document allegedly presents the offer made by Digitask, the German company developing the technology, and holds information on pricing and license model, high-level technology descriptions and other detail." According to the WikiLeaks analysis, the DigiTask offer "introduces a basic description of the cryptographic workings of Skype, and concludes that new systems are needed to spy on Skype calls." Aside from lining the pockets of DigiTask shareholders, there are more sinister uses for the malware. As the World Socialist Web Site noted "the remote-control function could be used to load and execute malicious software, and to plant bogus digital evidence on the computer, which can then be detected if the computer was seized. A suspect would have no way of proving that this had happened." As a recent article in German Foreign Policy disclosed, leading voices in Europe's largest state are "pleading for a transition toward 'less democracy'." A recent book, published under the title, Dare Less Democracy, claims that the "voice of the people" and the "'emancipatory Zeitgeist, putting everything into question,' has a too 'paralyzing influence" on current governance'." As The Washington Post reported last month, the "commingling" of CIA officers, JSOC paramilitary troops and contractors "occupy an expanding netherworld between intelligence and military operations" where "congressional intelligence and armed services committees rarely get a comprehensive view." According to The Washington Post, President Obama's Justice Department "wrote a secret memorandum authorizing the lethal targeting" of Awlaki. The Post reports that the memorandum "was produced following a review of the legal issues raised by striking a U.S. citizen and involved senior lawyers from across the administration. There was no dissent about the legality of killing Aulaqi." That memorandum, according to The New York Times, was drafted in June 2010, some six months after Awlaki had been placed on the White House hit list, by Office of Legal Counsel attorneys "David Barron and Martin Lederman." Reuters disclosed that Americans "are placed on a kill or capture list by a secretive panel of senior government officials, which then informs the president of its decisions, according to officials." McClatchy News reported that "broadly speaking" White House orders to kill Awlaki were based on claims that "the nation's inherent right of self-defense [is] recognized under international law." However, "international law also imposes limits: Targeted killing is banned except to protect against 'concrete, specific and imminent' danger." A "former military intelligence officer who worked with special operations troops to hunt down high-value terrorism targets," told the right-wing Washington Times: "I think it's pretty easy to understand why they didn't take him alive. Would you want to deal with the hassle of trying to put him on trial, an American citizen that has gotten so much press for being the target of a CIA kill order? That would be a nightmare. The ACLU would be crawling all over the Justice Department for due process in an American court." Obama's national security team justified whacking Awlaki, as with their earlier hit on Osama Bin Laden, by referencing the Bush-era Authorization for Use of Military Force (AUMF), hastily passed by Congress in the wake of the 9/11 attacks. Recall that during the run-up to the reauthorization of three expiring provisions of the USA Patriot Act, civil libertarians decried the use of secret legal memos justifying everything from unchecked access to internet and telephone records to the deployment of government-sanctioned malware on private computers during "national security" investigations. Recall too, that the Obama administration, as The New York Times disclosed in June, handed the FBI "significant new powers to its roughly 14,000 agents, allowing them more leeway to search databases, go through household trash or use surveillance teams to scrutinize the lives of people who have attracted their attention." Last month, The New York Times revealed that the FBI "is permitted to include people on the government's terrorist watch list even if they have been acquitted of terrorism-related offenses or the charges are dropped." As Antifascist Calling reported nearly two years ago in the wake of the aborted 2009 bombing of Northwest Airlines Flight 253 on Christmas Day over Detroit, a plot for which Awlaki was accused of orchestrating, though evidence can't be supplied because it's "secret," The Washington Post disclosed that Awlaki had extensive contacts with 9/11 hijackers Nawaf Alhazmi, Khalid Almihdhar and Hani Hanjour who "had spent time at his mosques in California and Falls Church." In a series of 2010 articles (here, here, here and here), I reported on the stark parallels between September 11 and the Flight 253 affair. And as with the 2001 attacks we were told "changed everything," far from being a failure to "connect the dots," intelligence and law enforcement officials possessed sufficient information that should have prevented accused bomber, Umar Farouk Abdulmutallab, from boarding that plane and placing the lives of nearly 300 air passengers at risk. According to History Commons, "shortly before the [FBI] investigation [into Awlaki's alleged ties to the now-shuttered Holy Land Foundation] is closed," in 2000, Awlaki "is beginning to associate with hijackers Nawaf Alhazmi and Khalid Almihdhar shortly before the investigation ends." "For instance," History Commons avers, "on February 4, one month before the FBI investigation is closed, al-Awlaki talks on the telephone four times with hijacker associate [and suspected Saudi intelligence agent] Omar al-Bayoumi." Keep in mind that at least two of the hijackers, Nawaf Alhazmi and Khalid Almihdhar, figure prominently in recent revelations by researcher Kevin Fenton, the author of Disconnecting the Dots. In a recent conversation with Boiling Frogs Post's Sibel Edmonds and Peter B. Collins, Fenton said that during the course of his investigation, drawn from the Congressional 9/11 Joint Inquiry, the 9/11 Commission, the Justice Department's Inspector General's report, and the CIA's still-redacted Inspector General's report, he discovered that the CIA had deliberately withheld information from the FBI that the future hijackers had entered the United States with multiple entry visas issued in Jeddah, Saudi Arabia. In 2002, Newsweek revealed that "some federal investigators suspect that al-Bayoumi could have been an advance man for the 9-11 hijackers, sent by Al Qaeda to assist the plot that ultimately claimed 3,000 lives." The Washington Post will report that by 2002 the FBI had concluded, the same year Awlaki leaves the U.S., "that no evidence could be found of any organized domestic effort to aid the hijackers." Recall that new information linking some members of the Saudi royal family and its intelligence apparatus to the attacks has recently surfaced. Last month, The Miami Herald revealed that two weeks before the kamikaze assaults on the World Trade Center and the Pentagon, a Saudi family "abruptly vacated their luxury home near Sarasota, leaving a brand new car in the driveway, a refrigerator full of food, fruit on the counter--and an open safe in a master bedroom." In a follow-up piece that significantly advanced the story, researcher Russ Baker reported on the WhoWhatWhy web site "that those alleged confederates were closely tied to influential members of the Saudi ruling elite." Building on information first disclosed by the Herald, Baker, the author of Family of Secrets, reports that this "now-revealed link" between those who consorted with the hijackers in Florida "and the highest ranks of the Saudi establishment, reopens questions about the White House's controversial approval for multiple charter flights allowing Saudi nationals to depart the U.S., beginning about 48 hours after the attacks, without the passengers being interviewed by law enforcement--despite the identification of the majority of the hijackers as Saudis." "After 9/11" History Commons points out, "the FBI will question al-Awlaki, and he will admit to meeting with Alhazmi several times, but say he does not remember what they discussed. He will not claim to remember Almihdhar at all." Other accounts suggest that the relationship was much closer. Anecdotally, in 2003 Newsweek reports: "Lincoln Higgie, an antiques dealer who lived across the street from the mosque where Aulaqi used to lead prayer, told Newsweek that he distinctly recalls the imam knocking on his door in the first week of August 2001 to tell him he was leaving for Kuwait. 'He came over before he left and told me that something very big was going to happen, and that he had to be out of the country when it happened,' recalls Higgie." The antiques dealer later told The New York Times, that when he learned that Awlaki would be permanently leaving San Diego, "he told the imam to stop by if he was ever in the area--and got a strange response." Higgie said, "'I don't think you'll be seeing me. I won't be coming back to San Diego again. Later on you'll find out why'." "But on October 10, 2002," History Commons reports, "he makes a surprise return to the U.S." Although his name is on a terrorist watch list and he is detained by Customs' officials when he lands in New York, they are informed by the FBI that "his name was taken off the watch list just the day before. He is released after only three hours." Awlaki again leaves the U.S., this time for good. Although the FBI admits they were "very interested" in Awlaki, they fail to stop him leaving the country. One FBI source told U.S. News and World Report, "We don't know how he got out."